Great investment turn key opportunity in Colorado's coveted green belt!! 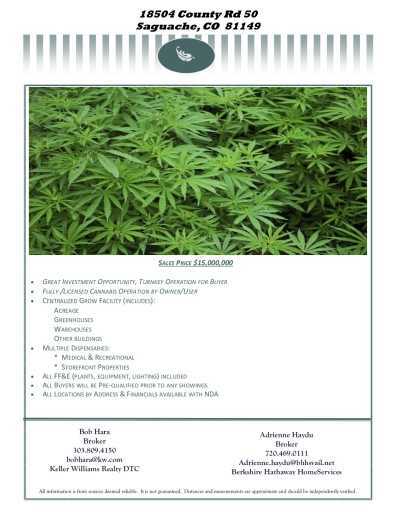 Includes multiple dispensaries (Retail and Medical), a grow ranch and all the licenses too! Well established and respected business with strong vendor relationships. All FF&E (plants, equipment, lighting) included. All buyers must be pre-qualified prior to any showings. Full list of addresses, financials and licenses available with signed NDA.